Reed Exhibitions Japan Ltd., the largest trade show organiser in Japan, announced that Manufacturing World Osaka 2016, Japan’s leading trade show for the manufacturing industry, is coming back at INTEX Osaka from October 5 – 7, 2016 with the largest scale in its history. Held with the largest scale ever! 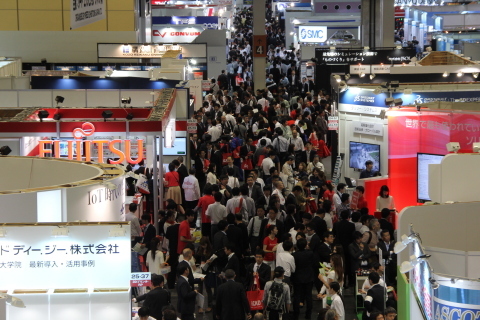 According to the huge supports from manufacturing industry of Japan and Asia, the number of exhibitors in 2016 is expected to reach 1,180* from all around the world. This figure is the largest ever in the history of Manufacturing World Osaka and 11% increasing from last year. More international exhibitors, great meeting place for global business! Long awaited trade show! 1st Factory Facilities & Equipment Expo, FacTex Osaka, will be eventually launching inside at Manufacturing World Osaka 2016. Since Osaka is well known as one of the origin of manufacturing industry in Japan, there have been enormous numbers of factories, plants and warehouses in Osaka and western Japan area. 1st Factory Facilities & Equipment Expo, FacTex Osaka, is the trade show where people who manage their factories, plants and warehouses can find the great services/products to manage or maintain their factories better than now. This show is very unique concept trade show even among the world so FacTex Osaka is paid great attention not only from Japan, but also from all around the world. Visitor Registration is now open! Apply for the Exhibition Ticket for free entry! For free entry to Manufacturing World Osaka 2016, visitors need to apply for the visitor registration through the official website. Now visitor registration is open at the official website. Access to the following URL and complete the registration form for Exhibition Ticket.